India is known for its diversity not only in terms of culture, religion but also for its food as well. Food is an integral part of India and has become the basis of its culture. 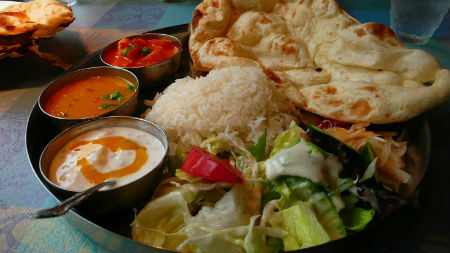 Indian food is marked by its distinct aroma, flavor and color. Each state in the country boasts of its own mouth-watering cuisine. Apart from that, even each household has its own cuisine and preparation in line with the palate of its members. Bihari cuisine is a mélange. It is an amalgamation of distinguished style that is handed down from older generations and vivid colors provided by the abundant seasonal vegetables and fruits. 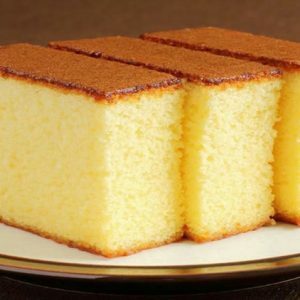 It is marked by the use of pungent mustard oil and panchporan. Panchporan is a distinct feature in East India cuisine and is prepared by mixing five spices, cumin seed, mustard seed, aniseed, fenugreek and black cumin seed. From the cuisine of Bihar, one can acquaintance with the history, geography, economic and cultural status of the state. Since various regimes and culture have controlled it from time to time, the cuisine of the state has a great impact of various cultures. Lord Buddha attained enlightenment in Bihar. Consequently, Buddhism has significant impact on its culture and food and vegetarian food has its own place. Bihar has been under Moghul regime and exotic Mughal cuisine has strong impact on the cooking and taste of Biharis. In addition, various dynasties like Gupta, Mauryan, Turk, Afghan, Persian and European have ruled over Bihar and thereby influence the food culture of the state. Thus, Bihar cuisine has imbibed the best and most suitable of all reigns along with its distinct style. This is the hallmark of Bihari cuisine. Wheat and rice are the staple food of Bihar. Rice is consumed by all classes of people. It is said that during his visit to Nalanda, rice was served to Huien Tsang . Abul Fazal also lauds rice as the staple food of Bihar. A typical Bihar meal consists of dal, bhat (rice), phulka (roti), tarkari (sabzi) and achar (pickles). However, the content of Bihari thali is changed depending on the season. The broth of rice and lentils seasoned with spices is Khichdi and is served with several side dishes like papad, chutney, curd, pickles and ghee. Chokha is another delicious side dish and is prepared from boiled mashed potatoes seasoned with chopped onions and green chillies. There are several lip smacking traditional snacks and savories. Pua is prepared from a rice powder, milk, sugar, honey and ghee. Chiwra is beaten rice and is served with creamy curd and sugar. 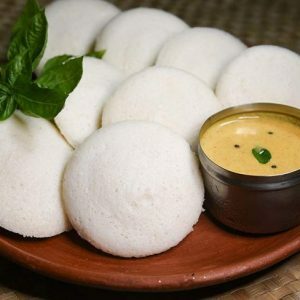 Pittha is prepared from powdered rice. Choka is prepared from sattu and wheat flour. It is a fast food item and reuires minimum utensils and preparation time. ‘Chhonkna’ (tadka) with ‘panchporan’ is a striking feature of Bihar cuisine. Dishes are not only colorful and yummy but are also energy rich as they contain sattu, gram powder which is an energy booster. The Biharis are fond of meat and chicken and Bihari kebab is a famous non vegetarian dish. This delicious dish is eaten with roti, paratha or boiled rice. Sweet delicacies also form a vital part. Sweets of Bihar are mostly dry contrasting Bengali sweets that soak in syrup. Some of delicious treats include Laktho, Khurma, Balushahi, Anarasa, Khaja, Motichoor ka Ladoo, Kala Jamun, Kesaria Peda, Parwal ka Mithai, Khubi ka Lai, Belgrami, Tilkut, Thekua and Chena Murki. Littis is a delicious snack made of plain flour crust stuffed with sattu flour. The great combination for this tasty, crispy snack is coriander chutney and mashed grilled eggplants spiced with pickle juice. Undoubtedly every foodie simply loves devouring the colorful, spicy and delectable Bihar food. Feel free to comment or share your thoughts on this "Traditional Cuisine of Bihar" article from Awesome Cuisine.